Cute cartoon creatures; simplistic shooting; a mixture of mini-games. 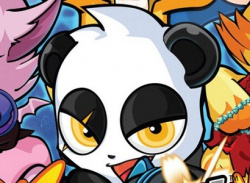 Wicked Monsters Blast is a kids game by-the-numbers, but its charm and heavy nods towards arcade classics such as Point Blank could have youngsters going crackers for these animals despite a slim number of levels. 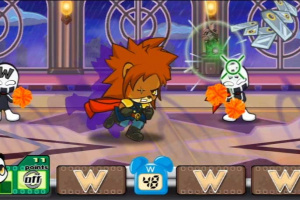 Wicked Monsters Blast is easy to pick up, with scant few concepts to remember. 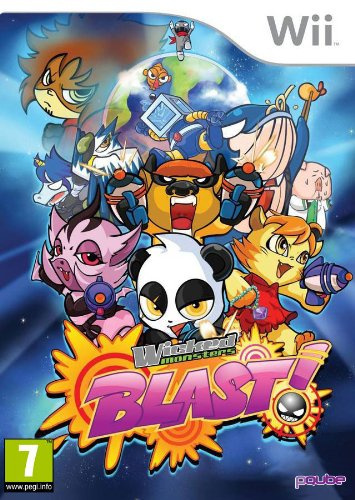 Racing against the clock,..
Wicked Monster Blast is one of the few shooting games on the Nintendo Wii which is suitable for the whole family. 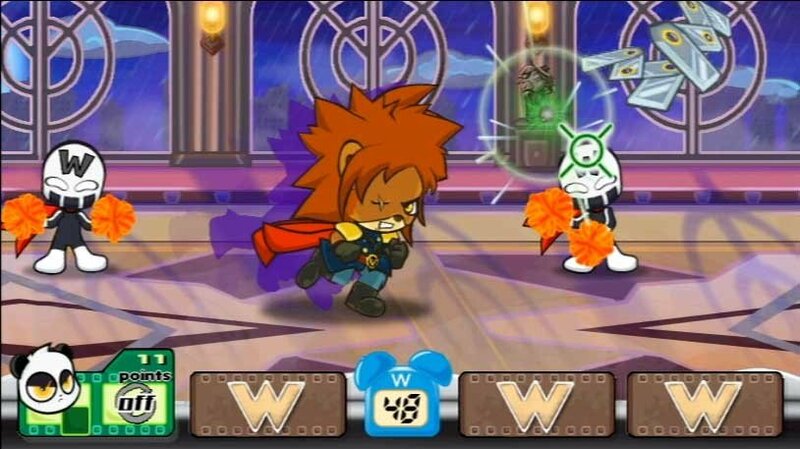 You play as the characters of the “Wicked Monster” series and shoot it out with cartoon style animals, aliens and monsters, all set in a brightly coloured cartoon environment. 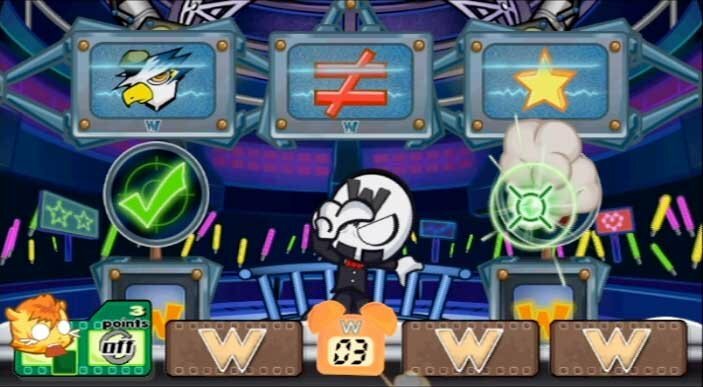 Using the Wii Remote you blast enemies and solve puzzles across 20 challenges and 12 mini games – all of this is set in a family friendly environment. 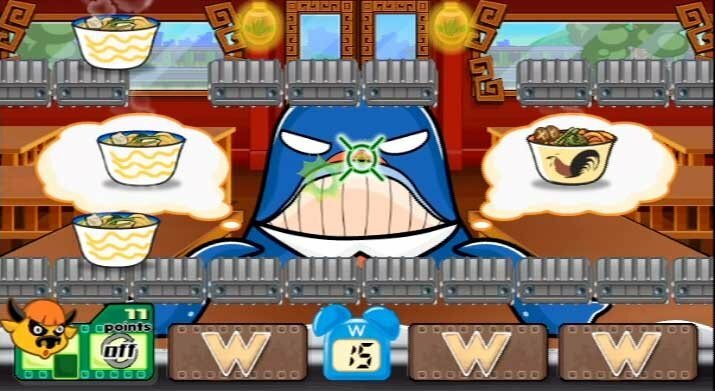 Wicked Monsters Blast has 3 unique game modes, Arcade, Family and Survival mode delivering extensive replay value and is a guaranteed favourite in party atmospheres. 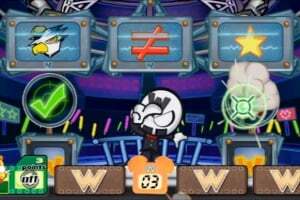 Gameplay is fast paced and non-stop – each stage poses a unique challenge and you must combine skill with intensity in order to progress through each stage. 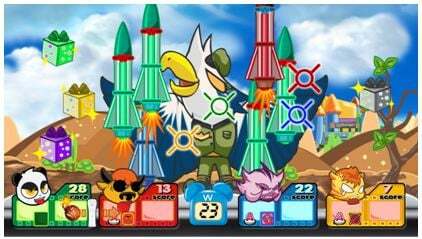 Keep your students awake in Lazy Brain Attack, keep the hippos hungry in No Mercy for Hippos, and defeat Colonel Eureka in Desert Striker and many more! 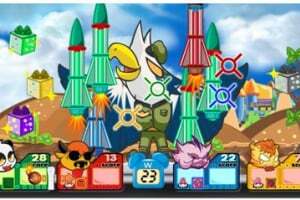 12 mini games - Shoot rocks to create sculptures, defend from a barrage of missile attacks, solve simple equations, match pictures, prevent hungry hippos from eating all of the food, serve dinner to a whale, break bottles and many more! 4-Player Multiplayer! 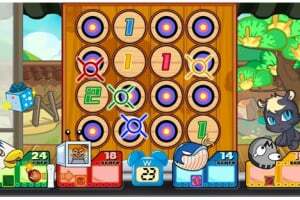 - arcade-style multiplayer gameplay for up to four players. 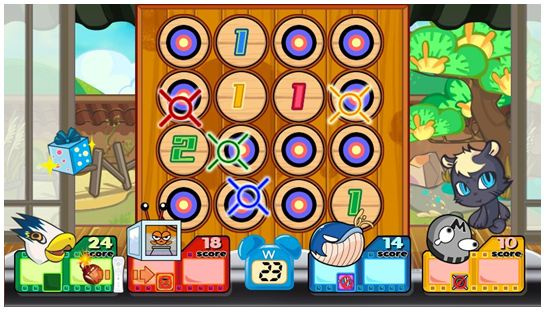 Players cooperate to get past challenges while still competing for the highest score. Arcade Mode: select a crazy character and follow their story. Family Mode: select from any of the mini-games you’ve unlocked to play separately. Survival mode: shoot your way through as many rounds in the random games as you can. Use power-ups by pressing the A button to help boost your score or hinder other players.